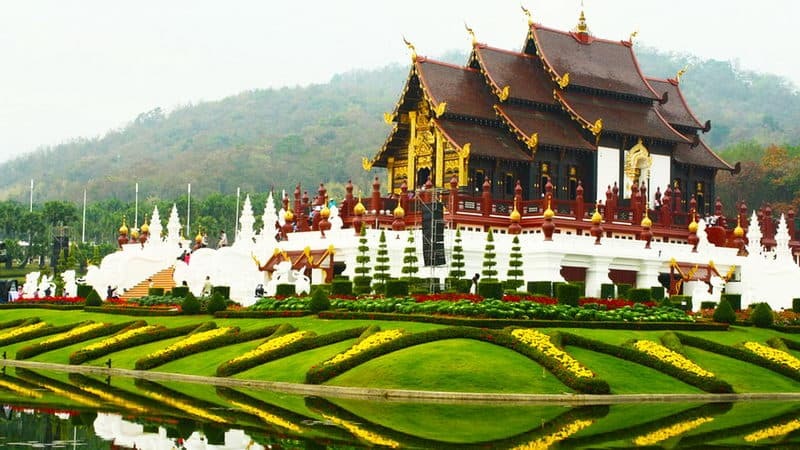 Chiang Mai, the second largest city in Thailand, located 700 km north of Bangkok in a verdant valley on the banks of the Ping River. It is well-known for roses, so it is given a name - The Rose of the North. Chiang Mai is a city that still preserves the original sceneries and customs, so it is a nice resort for vacation. 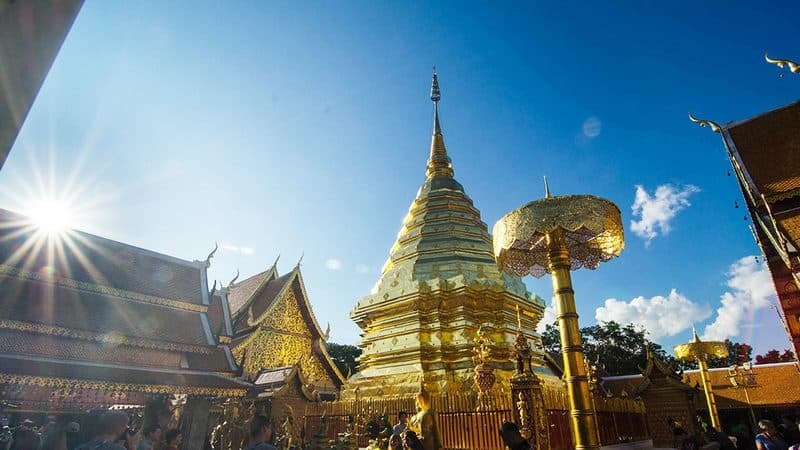 Doi Suthep is an essential part of life in Chiang Mai. A Thai saying goes, "If you haven't tasted Khao Soi or seen the view from Doi Suthep, you haven't been to Chiang Mai." There is a temple and a tower on the mountain that both locals and travelers would go for blessings. 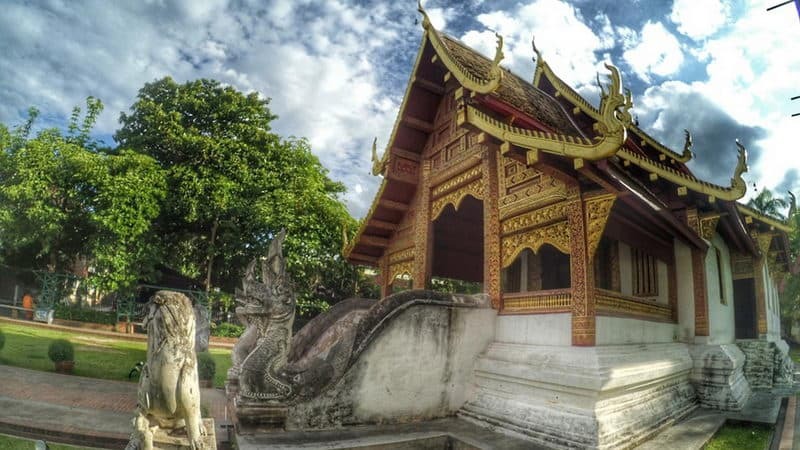 Wat Phra Singh, the largest temple in Chiang Mai, has a high status in all Chiang Mai temples. It was first built in 1345 by King Phayu for placing the ashes of his father. Now it has become one of the main locations for people to celebrate Songkran in April. Wat Chedi Luang is a temple that have the same status as Wat Phra Singh in Chiang Mai. It was built in 14th century, and the upper part collapsed after an earthquake in 1545. Later on, it was reconstructed due to the contribution of UNESCO and the Japanese government. Phu Phing Palace is a royal resort that was finished in 1962. Every year between January and March, members of the royal family would come to relax. Beyond that, the palace is opened for visiting. The rose gardens are particularly famous (Suan Suwaree), with temperate plants grown here that are not commonly found in Thailand. 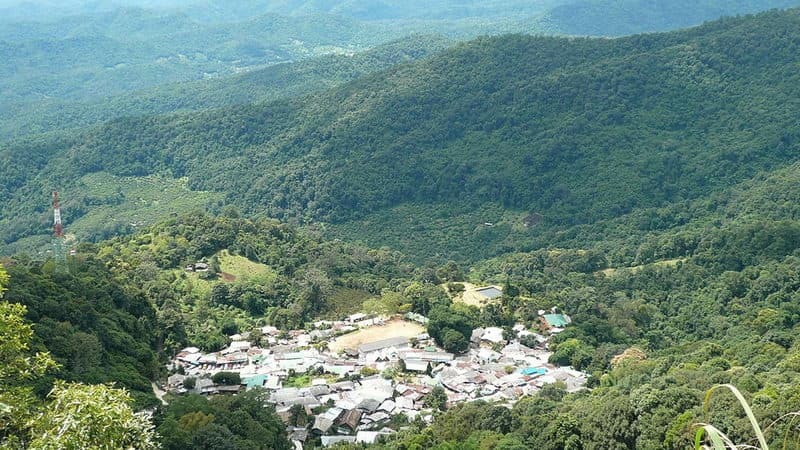 Doi Pui Tribal Village is not very far away from Phu Phing Palace. Because of the tough mountain road, you can only take the local car to get there. Visitors get to see rare poppies in the village, which is called the most beautiful flower in the world. However, it is hard to imagine that you can make drug out of its fruits. 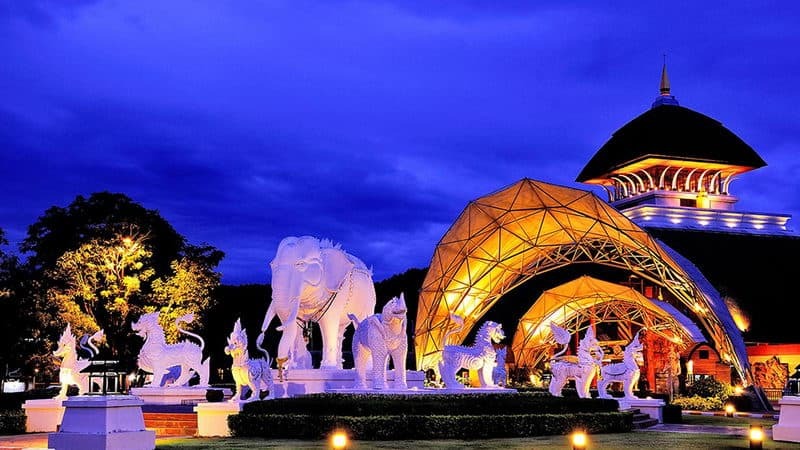 Chiang Mai Night Safari is a nocturnal zoo that is operated by Pinkanakorn Development Agency. It is used to increase Chiang Mai's attraction to tourists. Visitors can take a 24-people bus to observe animals like lions, tigers, bears, wolves, etc. It would be a rare and exciting tour. 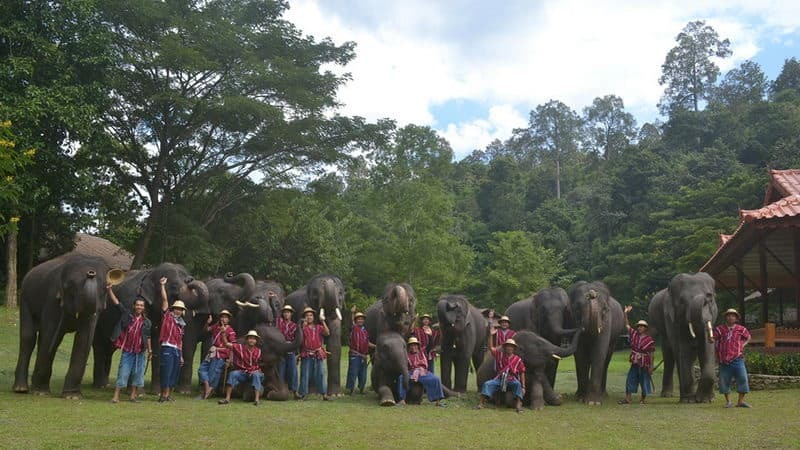 Maesa Elephant Camp is an elephant research and education center in Chiang Mai; it has about 100 elephants total. It provides elephants acrobatic performances as well as elephant ridings. There are trainers following while riding elephants, so you can have the experience to go across the mountains and jungles without worrying. 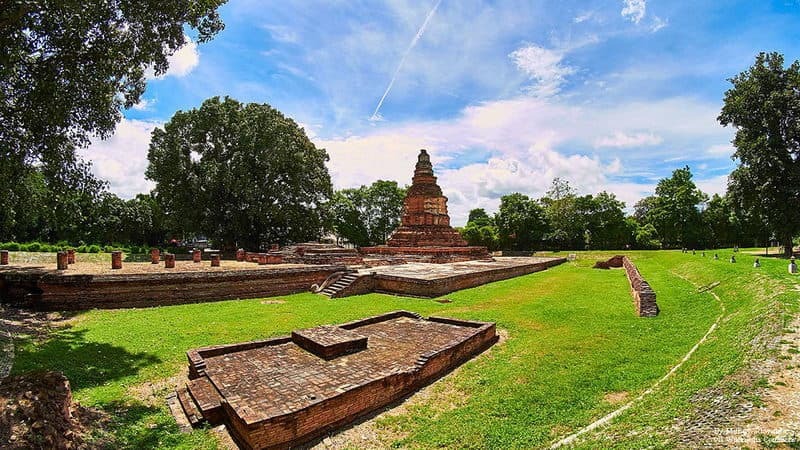 Wiang Kum Kam is an historic settlement and archaeological site along the Ping River. 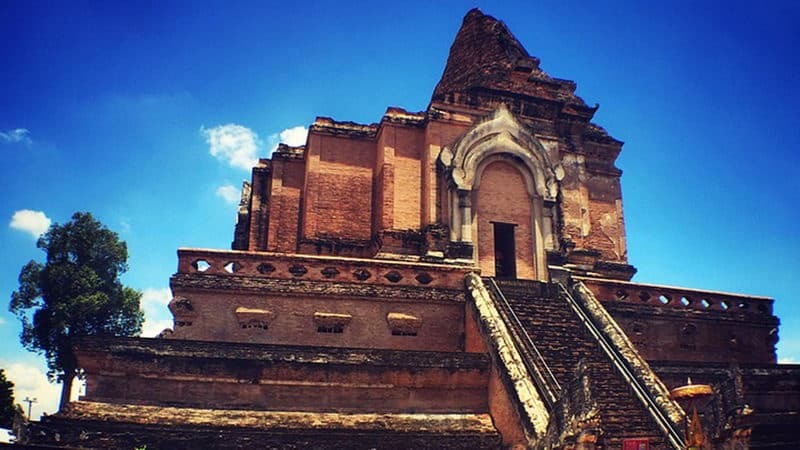 It was the first capital of Lann Thai before Phaya Mengrai had to move the capital to Chiang Mai because of the flood. As time move on, it has been forgotten by people gragually. 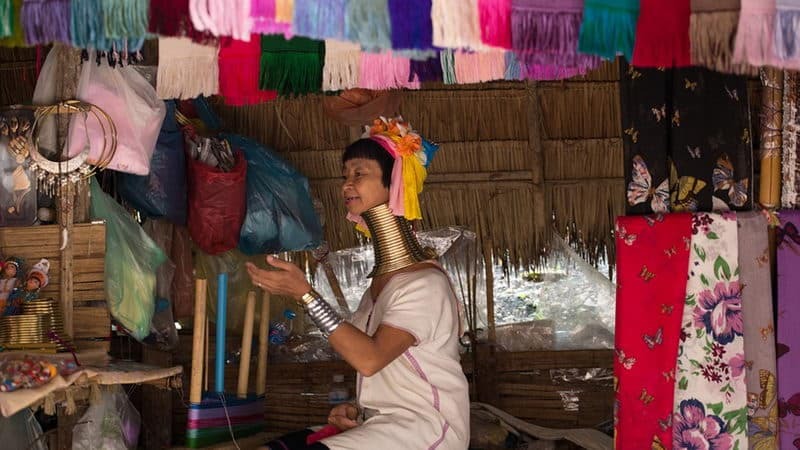 Karen Long Neck Tribe is a tribe with unique customs. Women wear brass ring around their necks, wrists and ankles as part of their culture. It is a good idea to walk around the village and explore their cultures and lives with respect. 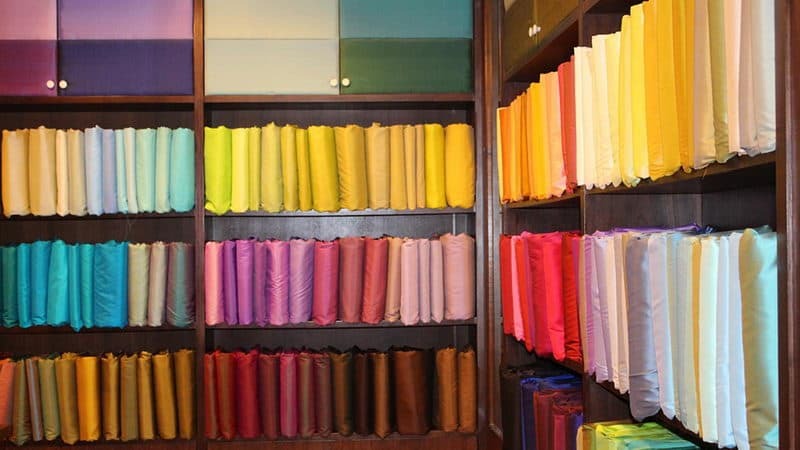 Sam Kamphaeng is famous for its silk factories and handcraft products. There are many handcraft shops selling traditional Thai items like umbrellas of Ba Sang, which is a village that is famous for its paper-umbrella craft.